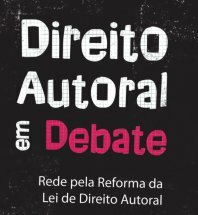 Brazilian Copyright Law Draft Finally to be Published? The copyright law reform in Brazil is at a crucial stage. In November 2009, the Ministry of Culture had organised a conference for publishing the law draft but failed to do so. Ever since at monthly intervals, it announced the imminent start of the public consultation only to postpone it again. One can only speculate that party haggling in Congress over entirely unrelated law proposals, hot potato droppage in a time of election campaigning and pressure from publisher associations and the music collecting society might be causing this delay. What is certain, is that time is running out. Any postponement at this time could jeopardize the Herculean efforts undertaken by the Ministry of Culture, government, and sectors of society involved in the construction of this new proposal over the past four years. It is well known that in the coming months the country will be immersed in activities and public debate related to the World Cup and the presidential elections. It is essential that this Ministry, who led this process until now, give effect to the tremendous work done in conjunction with society. The urgency of a reform was emphasised again by Consumers International’s IP Watch List (PDF), published in April, that found that the current Brazilian copyright law is one of the most restrictive in the world. In its most recent statement, the Ministry announced the beginning of the consultation for mid-June. After so many failures to keep its promise, activists are not convinced. The „Network for the Reform of Copyright Law“ has now grown to more than twenty members organisations, including those of artists, consumers, academics and students. On 26 May, at 19:00, the civil society coalition will hold a manifestation in the auditorium of the Ministério Público Federal in São Paulo (Rua Peixoto Gomide, 768, Cerqueira César, São Paulo/SP), demanding the immediate start of the public consultation on the law reform. The Ministério Público Federal is not, like one might think, a ministry, but the Public Prosecutors Office, which recently has started a working group on copyright law. That they have invited the civil society network to lay out our views on the copyright law reform is thus highly significant. The event was a great success. It was the number one issue on Twitter and still reverberates throughout the Brazilian blogosphere. Some photos of the presentations.